Today we awoke to an overcast day; the first on our trip. 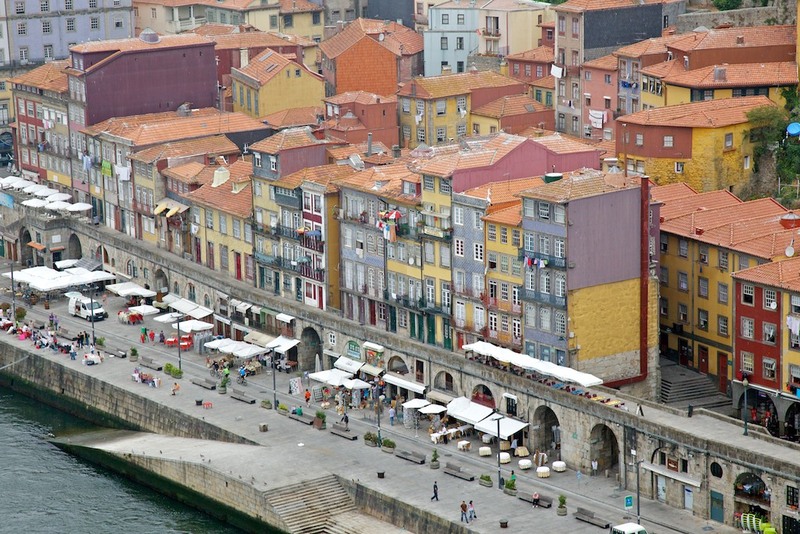 Being in Porto, a coastal city, it was also decidedly cooler. We welcomed it with open arms. Today was a day where we’d eventually land ourselves in France, through a combination of flights to Barcelona and Marseille, and then a car to Avignon. 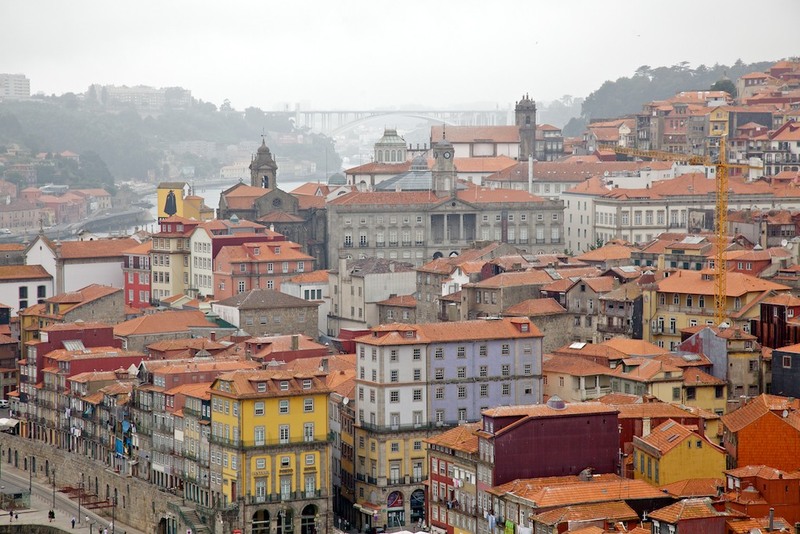 The flights didn’t begin until the afternoon, which left us the morning to explore Porto a bit. Porto is an impressive and beautiful town. Its topography is dramatic as the hillside city plunges into the Douro river. I find the cities of Porto and Vancouver to be quite similar, yet diametrically opposed. Both are breathtakingly beautiful coastal cities with enticing views that have a prominent river dividing its population; yet Porto is centuries old while Vancouver is very new. 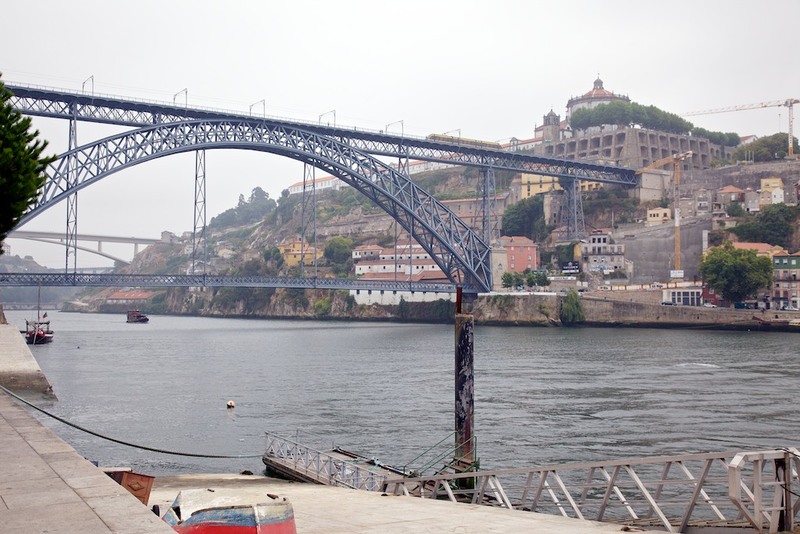 A dramatic series of bridges connects it and Vila Nova de Gaia on the south – these bridges are each unique, artistic and beautiful. We were able to walk across the top of the Pont Luis I which was designed by Gustav Eiffel. Each of the bridges has an interesting architectural aspect to it – none feature cables or support structures above their decks, and none feature a foot in the river. They are expansive bridges and are of marvellous engineering. Pont Luis I is a bridge whose top is for the exclusive use of pedestrians and above ground transit trains, while vehicles cross on the bottom deck several meters below. Wandering Porto on a Sunday morning was a serene experience. Many businesses were closed and there weren’t any people save for some intrepid cyclists and tourists such as ourselves on the roads. We believe everyone was at church. This offered us a sense of privacy and a relaxed feeling. 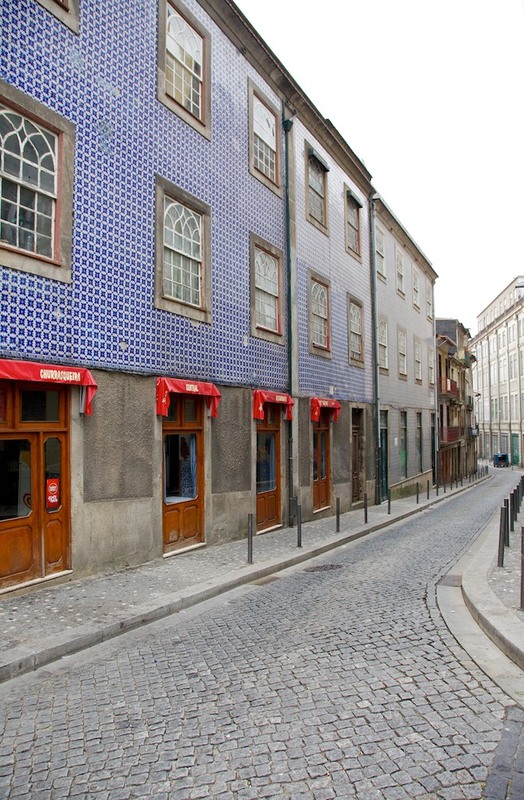 We noticed the number of buildings with famous Portuguese tile work on their interiors and exteriors. Even the most mundane and run-down buildings had intricate tile mosaics. We also visited some street vendors along the riverfront who were selling pretty Portuguese tablecloths. It soon became time for us to head to the airport. Explaining to the check-in person the difficulty we had with one of our bags in our effort to get to Porto, we requested and were granted priority tags for our travel this time. The flight to Barcelona was fine. We were in a tiny regional jet, which required what has become a routine of bus transport from the gate to the aircraft. I’m not a fan of the extra step, which includes rushing, waiting, and a bit more stress. Upon arriving in Barcelona, we discovered that our connecting flight to Marseilles was delayed. At this point only for an hour, however it eventually became two and a half hours, which we thought was a bit ridiculous for a 40-minute flight. 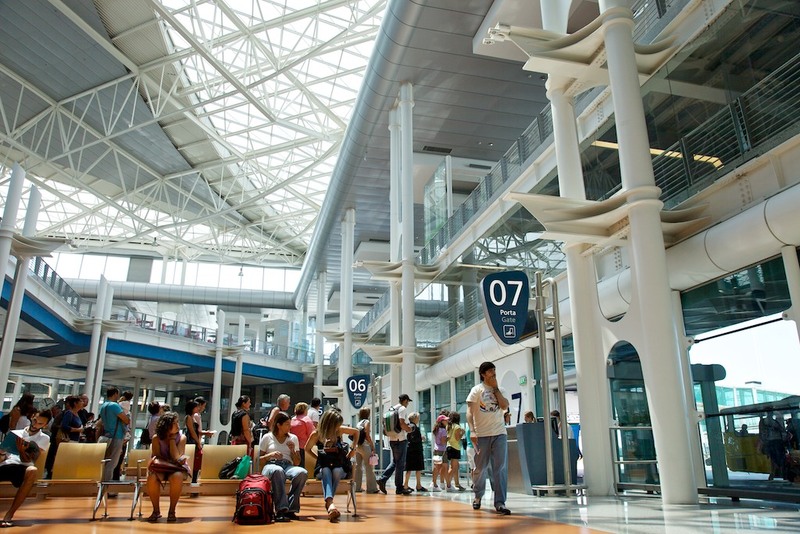 Fortunately in some respects Barcelona’s airport is a paradise for shopping. The post-security array of shops is quite remarkable and my wife and I found a couple of wonderful stores to pass the time (and spend some money) in. But it was a bit disappointing to arrive in Marseilles so late, since we had a car waiting for us and an hour’s drive to our final destination of Avignon. This would be the second time on the trip that we missed dinner. There was an incredible lightening storm on the horizon during the drive to Avignon. There was also a frightening traffic accident that we saw the result of during the trip. Our driver explained how poor most drivers are in France; that they have little regard for other vehicles, the weather and the road conditions. Despite the accident, we still felt the driving was a little more sane than what we experienced in Spain and Portugal. My French held up as well, as the driver and I bounced back and forth between French and English. Finally at about 11:00pm we arrived at our hotel. 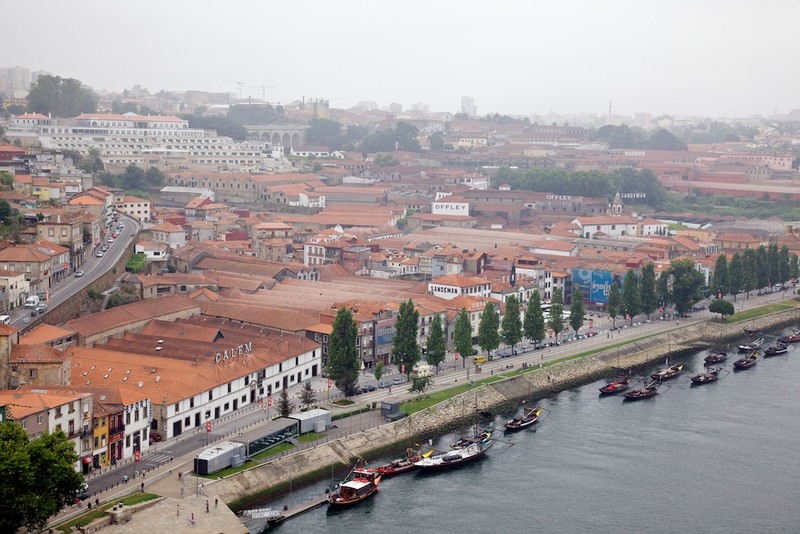 The other side of the Douro river – Vila Nova de Gaia – from the bridge. Note the names of the famous Port houses – these are the lodges where their wines are aged.